A court in western Izmir province arrested Alparslan Çelik, who allegedly killed the pilot of the Russian fighter jet downed by Turkey in November on Sunday. Alparslan Çelik, who allegedly killed the pilot of the Russian warplane downed by Turkey for violating Turkish airspace on November 24, had been detained last Thursday by security forces. According to information obtained from security sources, 14 suspects including Çelik had been taken under custody. Çelik, who fights against the Assad regime in Northern Syria's Bayırbucak area, became the target of Russian intelligence upon stating that he and other Turkmen fighters captured the Russian pilot dead who ejected himself from the warplane shot down by the Turkish Air Force. Çelik previously said that Russian warplanes kept striking Bayırbucak Turkmens to support the Assad regime even though there is no presence of Daesh or Al Nusra terrorists in the area. Çelik had reportedly come to Izmir with 13 other people and was detained during a dinner in a restaurant in the central Hatay district of Izmir. Security sources stated that a Kalashnikov rifle, two handguns and ammunition were seized in the operation. A lawyer for one of the suspects, Sıddık Caner Erşen said "Even though hours passed since their detention, no statement has been made by security forces. These people have done nothing illegal, they only supported our cognates in Northern Syria against the Assad regime." 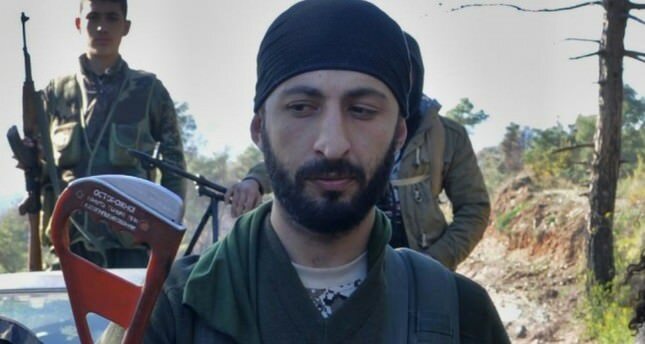 Alparslan Çelik became engaged in the Syrian civil war when he first went to Bayırbucak in July 2014 to fight alongside Turkmens against Daesh terrorists who were then attacking the area. A Russian fighter jet was shot down on November 24 by the Turkish Air Force as part of the rules of engagement and violation of airspace in the Kızıldağ region near Turkey's Hatay province close to the Syrian border. The presidency confirmed that the downed SU-24 fighter jet belonged to Russia and was shot down after violating the country's airspace. The warplane went down in Syria's northwestern Turkmen town of Bayırbucak near the border en route to bombing the Syrian opposition-controlled area.